Houston bankruptcy lawyers often meet with consumers who let debt pile up along with late fees, interest, and damaged credit, exacerbating their overall debt problems. When asked why they let their debt problem continue so long before meeting with a bankruptcy attorney to seek debt relief, many answer that they were worried because they were uncertain of the process. Others claim that they were under the assumption that they would lose their house, automobile, and job if they filed for Chapter 7 bankruptcy. Still, the most common answer is that they were unsure if they would qualify for Chapter 7 bankruptcy. While every person’s financial situation differs, here are some basic guidelines that you can use to give you the confidence you need to set a meeting with a Houston bankruptcy attorney to deal with detrimental debt finally. To qualify for Chapter 7 bankruptcy, most individuals will need to pass the “means test” in order to obtain a discharge. The only individuals exempt from this are military personnel that are actively deployed or who have more business debt than personal debt. The means test takes your average income from the previous six months and then compares that to the Texas median income for a household of your size. The following is a list of the median income for households, which are used to compare your average annual income in the Chapter 7 means test. Once you have found your average monthly income based on the past six months, multiply this number by 12, and you will get your annual income that the Bankruptcy Court will use. 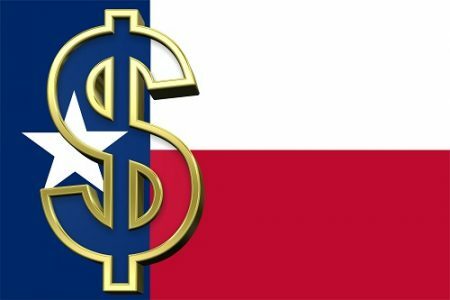 If your income is lower than the median income for households in Texas with the same family size, you pass your means test and qualify for having your debts discharged in Chapter 7 bankruptcy. Just because you qualify for a debt discharge under Chapter 7 bankruptcy, doesn’t mean it’s the best option for you. There are several situations where it may make more sense to declare Chapter 13 bankruptcy and still others where you may want to explore alternatives debt relief measures. Make sure to consult a Houston bankruptcy lawyer before filing to ensure that you are making the best possible decision for you and your family.